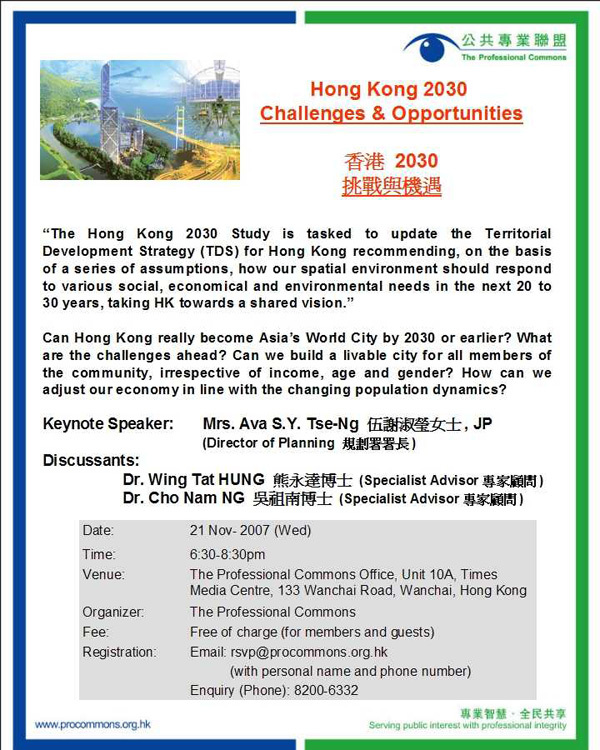 “The Hong Kong 2030 Study is tasked to update the Territorial Development Strategy (TDS) for Hong Kong recommending, on the basis of a series of assumptions, how our spatial environment should respond to various social, economical and environmental needs in the next 20 to 30 years, taking HK towards a shared vision." 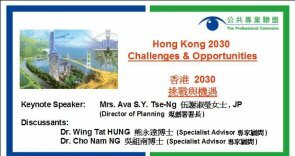 Can Hong Kong really become Asia’s World City by 2030 or earlier? What are the challenges ahead? Can we build a livable city for all members of the community, irrespective of income, age and gender? How can we adjust our economy in line with the changing population dynamics?